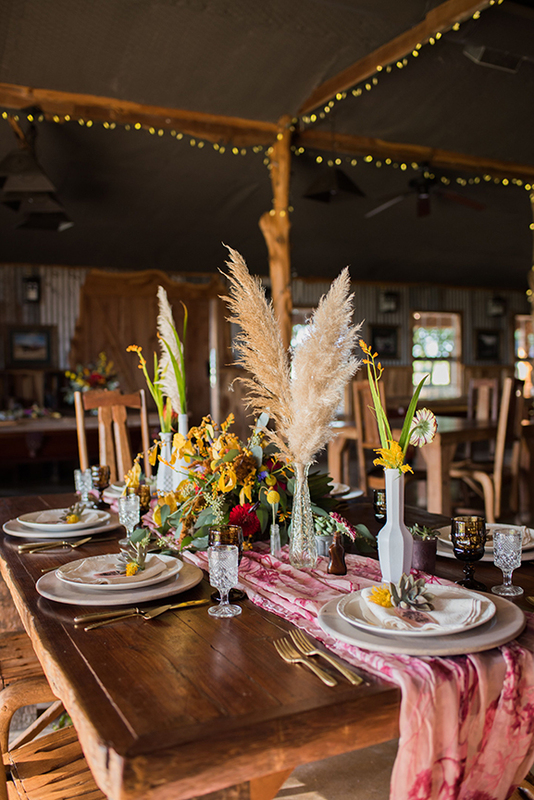 As light shone through the mature trees on Moon River Ranch, our Boho chic styled shoot came to life under the glow of the setting sun. 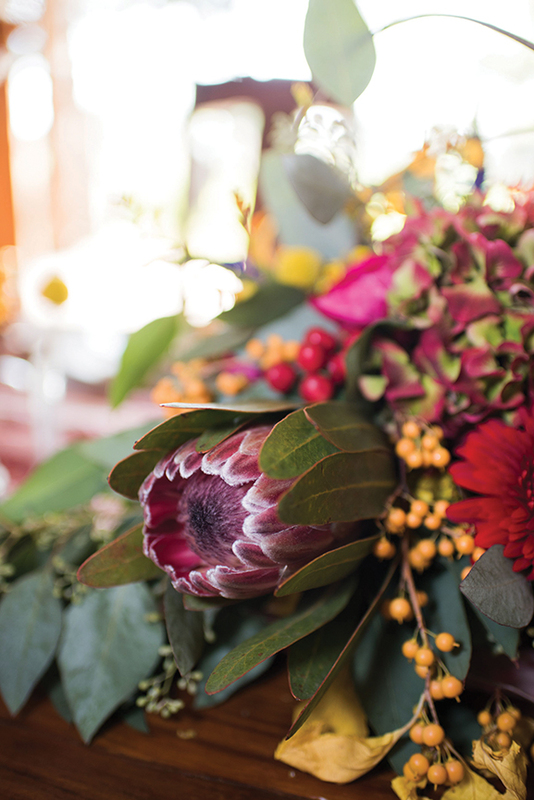 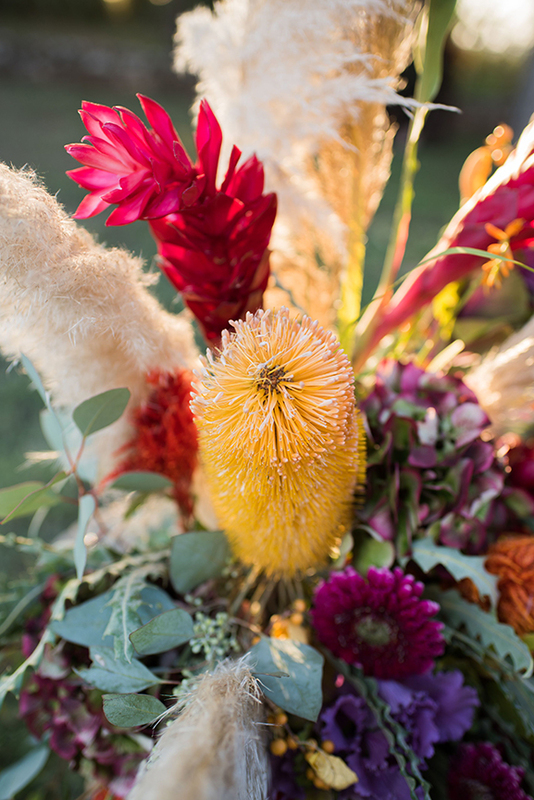 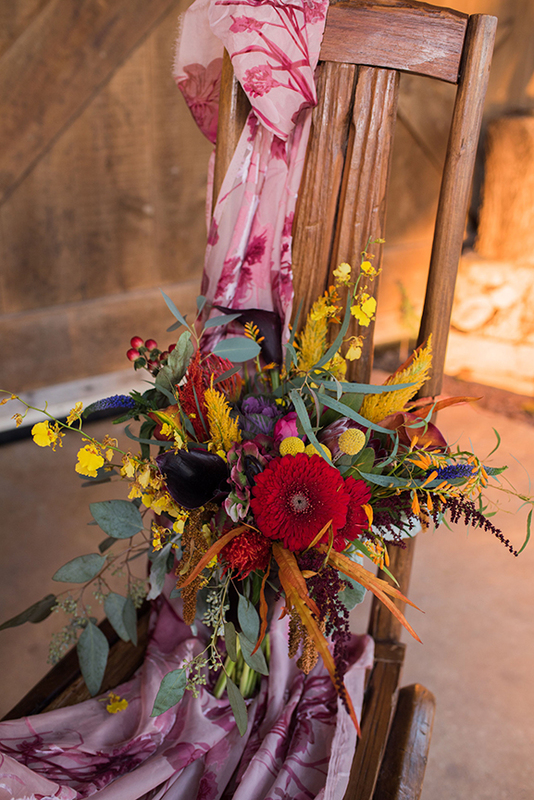 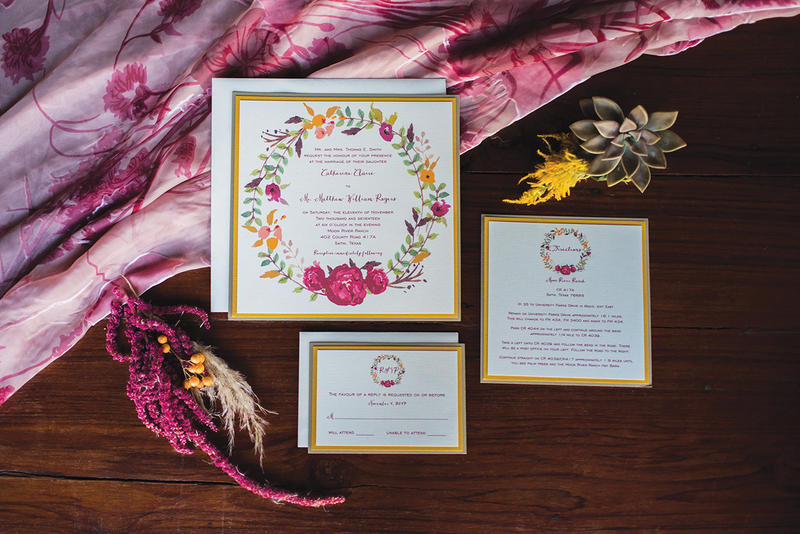 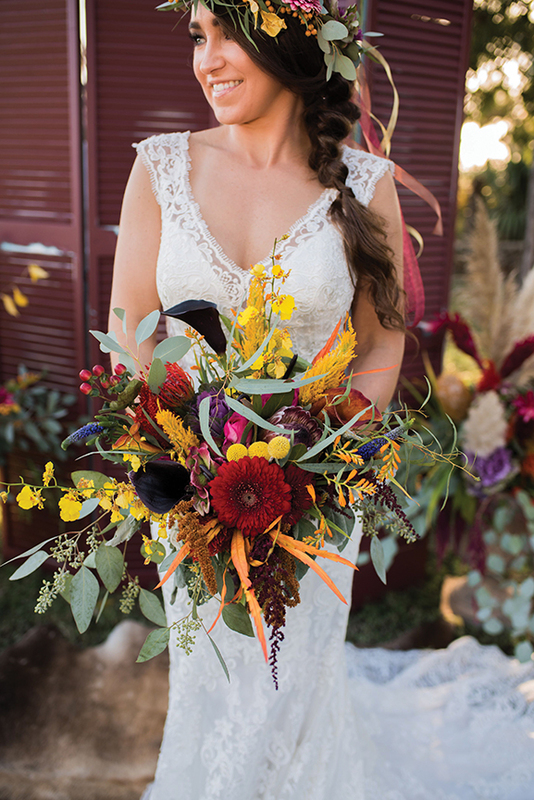 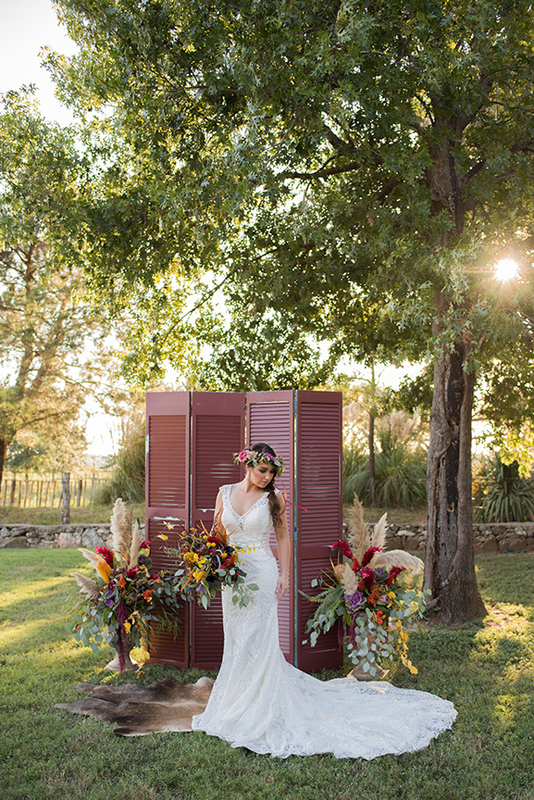 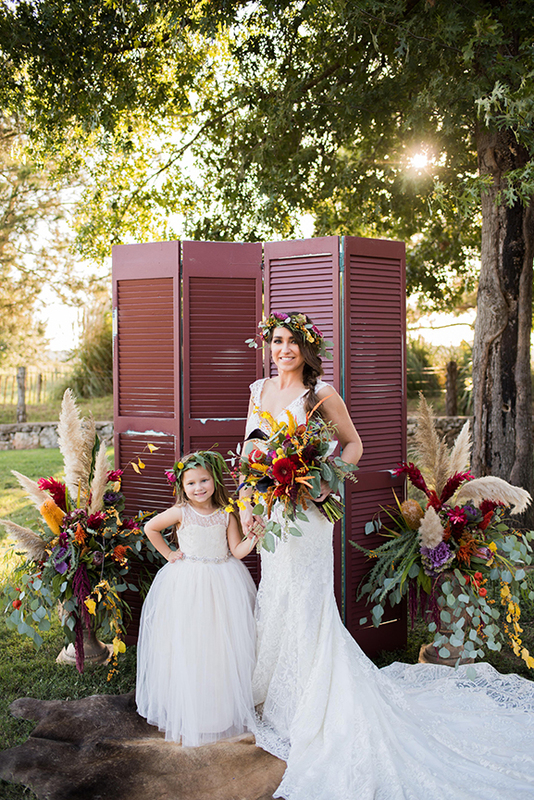 Rich-colored screens and bursts of jewel-toned flowers and pampas plumes provided the perfect backdrop for the Bohemian-inspired nuptials. 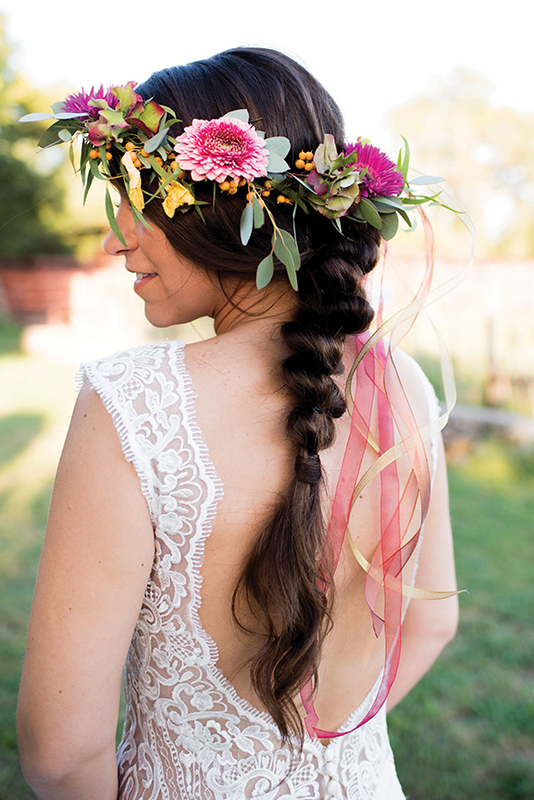 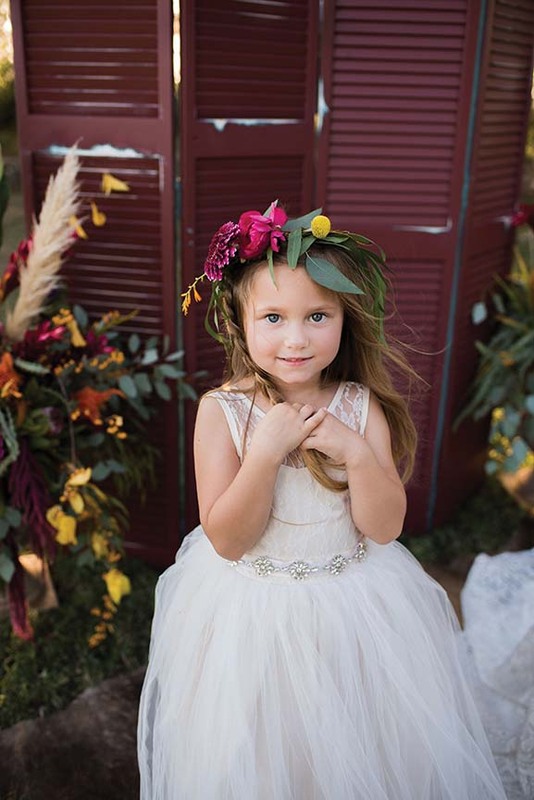 A loose braid and a romantic flower crown highlighted the bride’s natural beauty and paid homage to the hippie chic theme, while bits of light caught the dramatic wedding bouquet. 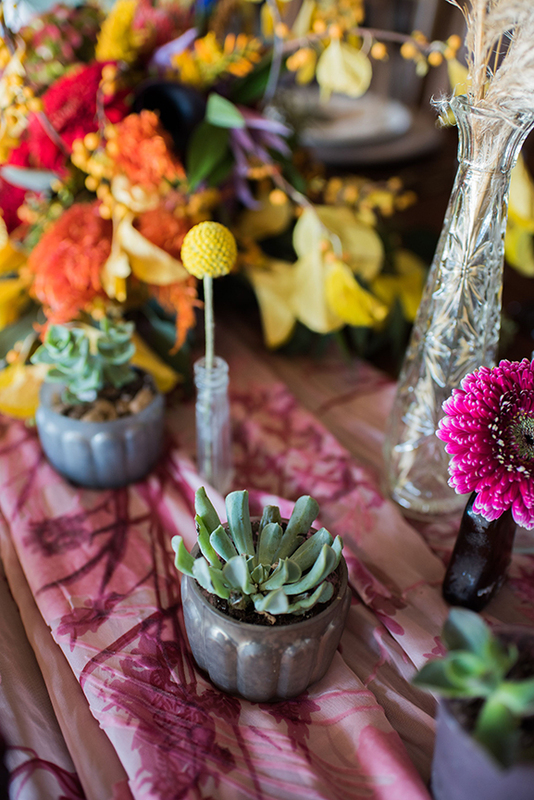 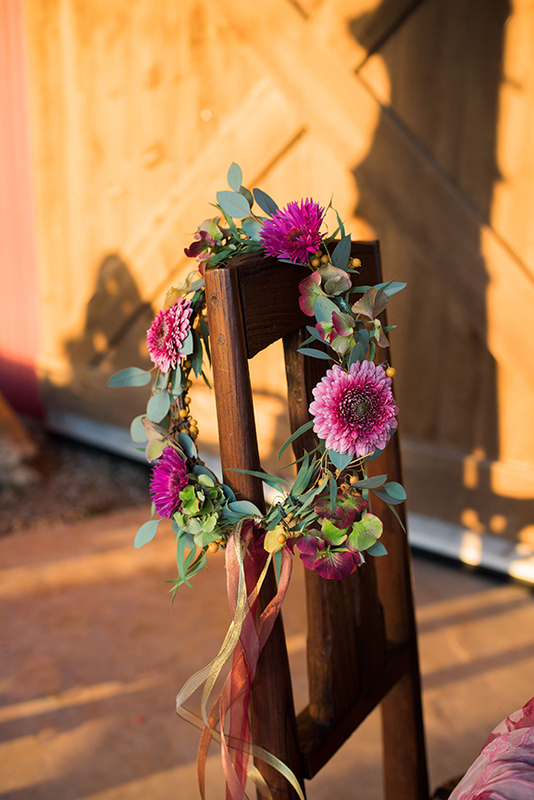 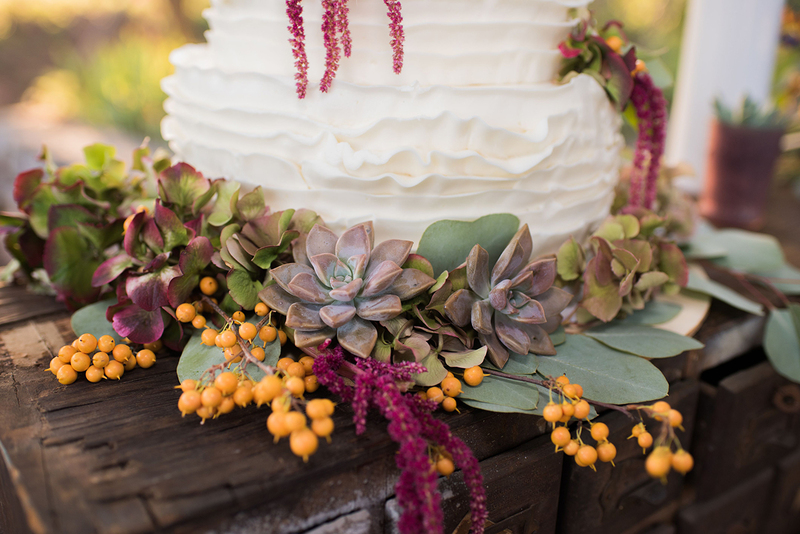 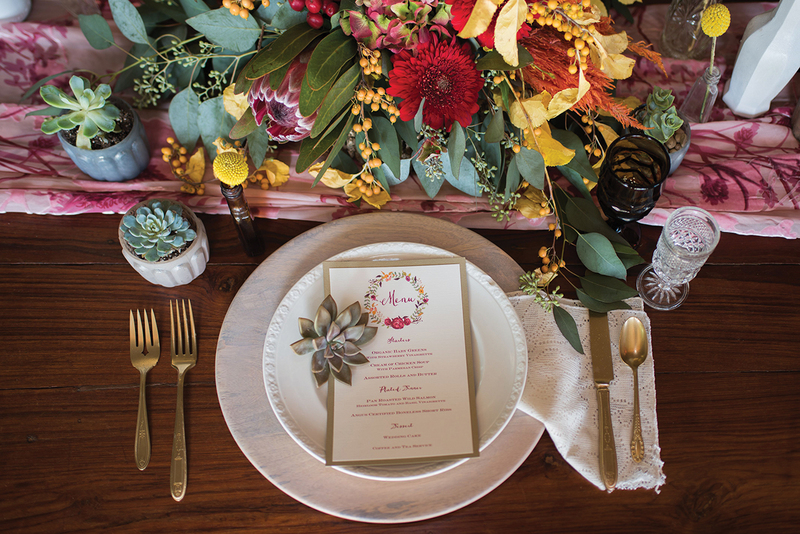 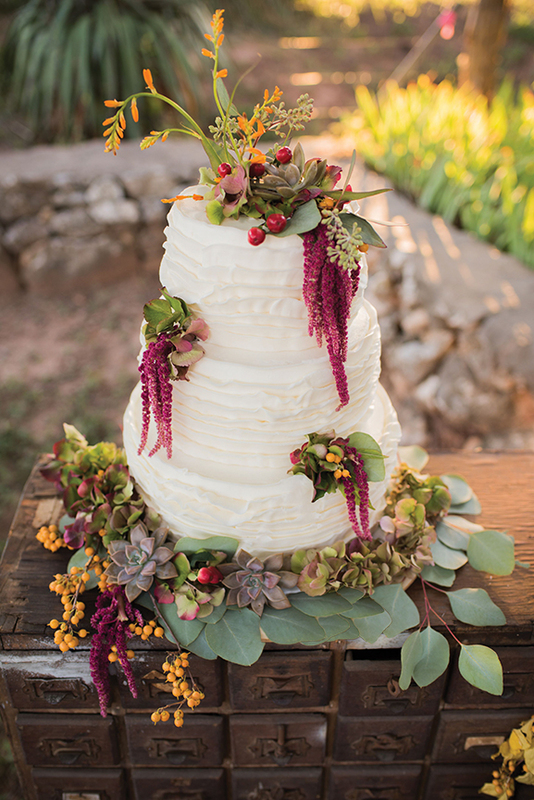 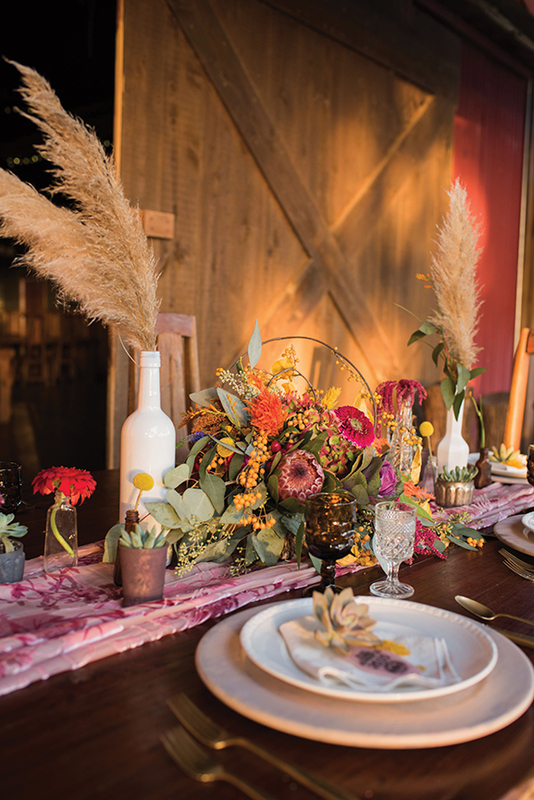 Well-placed succulents on a farmhouse table created a comfortable, yet stylish place for after ceremony activities. 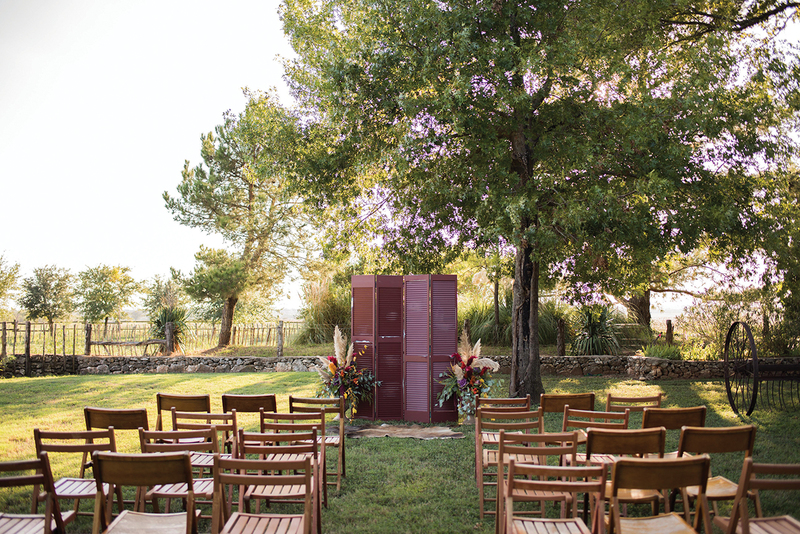 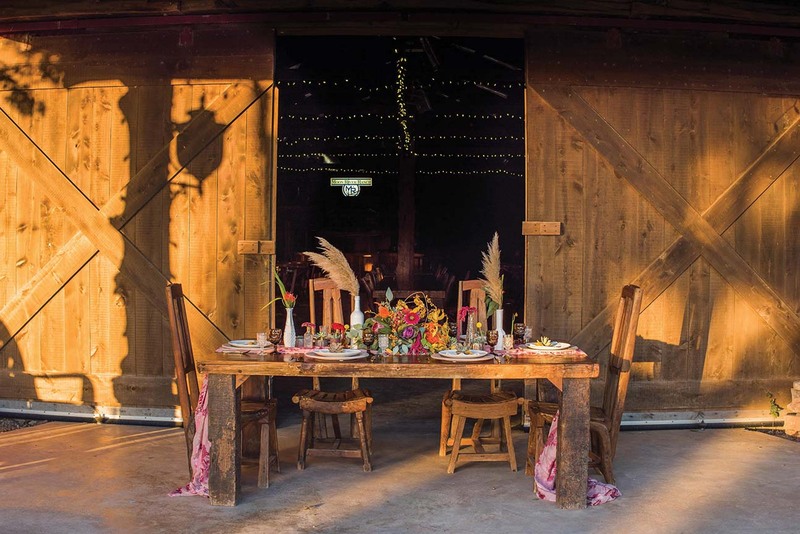 And the venue’s sliding barn doors allowed for a view of the stunning grounds from inside the reception area. 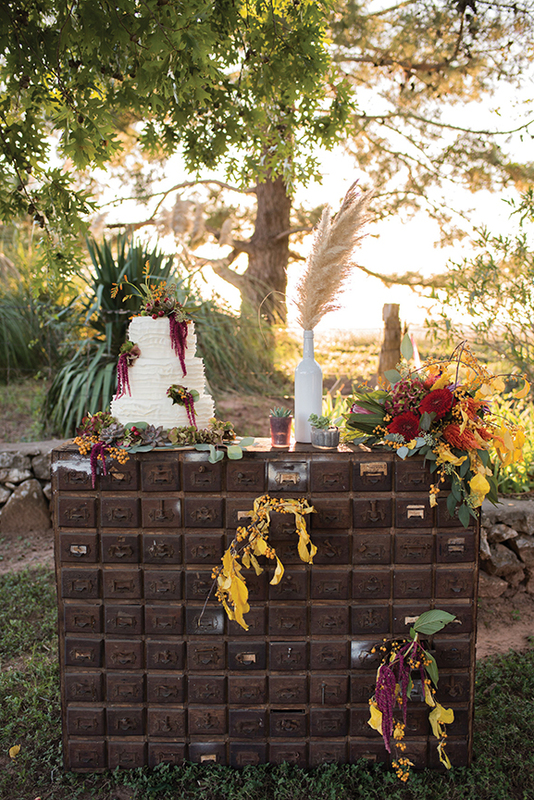 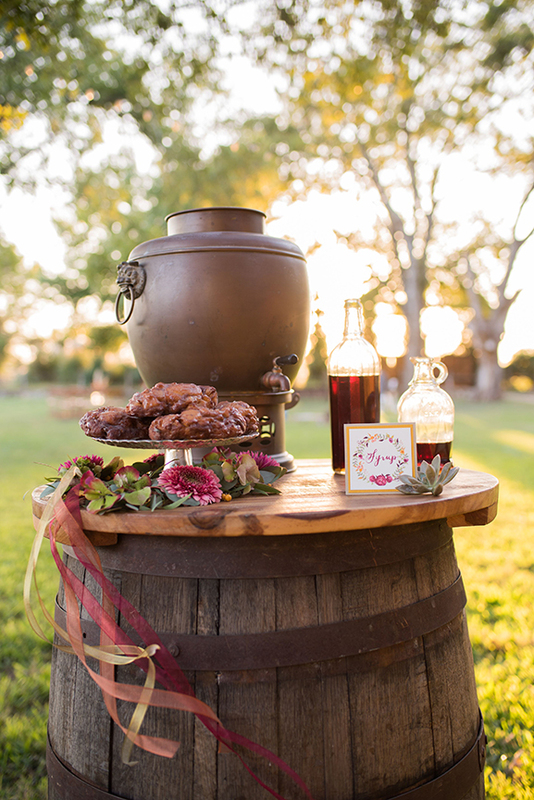 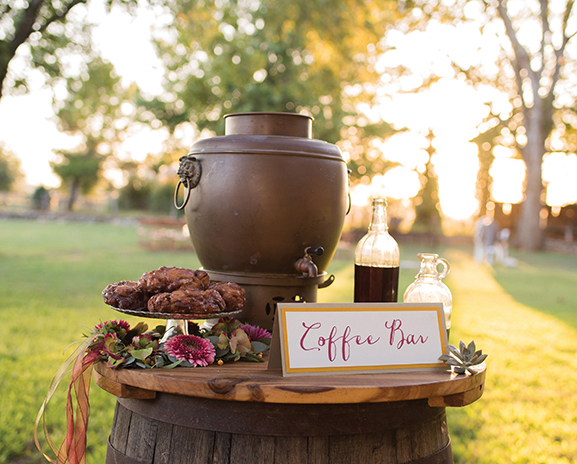 Rustic accents like an apothecary cabinet and an aged barrel anchored the soft look of the floral-covered cake and the subtle sweetness of a dessert and coffee bar.